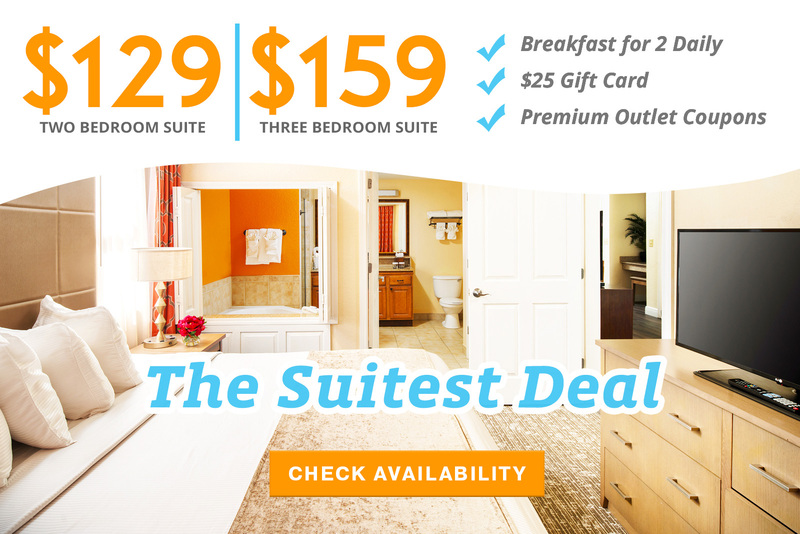 We Have the Suitest Deal for You! Book now until December 20, 2018 and travel now until December 20, 2018. Resort fees of $16.75 per night plus tax will be charged upon check-in. Offer subject to availability and black-out dates. Not valid for groups or during special events, holidays, conventions. Offer may be changed or closed out at any time. Only valid on new bookings. Not combinable with other promotions.